Price listed is for each 12-yard card of 2mm satin rattail cord. 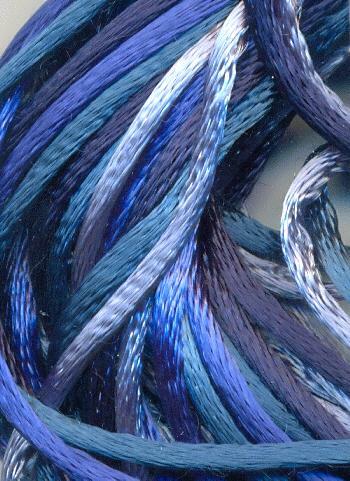 The Blue Tones color mix has 3 yards each of navy, royal blue, teal, and Williamsburg blue. 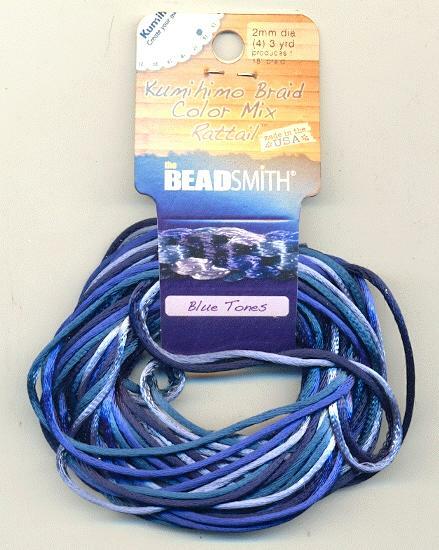 Rattail can be used for necklaces and bracelets, as well as kumihimo braiding.